April is Limb Loss Awareness Month, an event established in 2011 by the Amputee Coalition in order to raise awareness and empower those affected by the condition to share their stories. Our research group, the Center for Bionic Medicine, supports this mission by working to improve technologies and procedures available for people living with limb loss and other physical disabilities. In recognition of Limb Loss Awareness Month, we established a list of facts about amputation and prosthetic limbs that we think you should know. Some people are born with limb loss (congenital limb deficiency), while others may lose limbs due to infections, trauma, cancer, or vascular complications that may arise from diabetes. One highly-cited research article projects the number of people with limb loss in the United States could double — from the 1.6 million people estimated in 2005 to 3.6 million in 2050 — largely due to vascular disease secondary to diabetes. Worldwide, access to prosthetic care is limited. The World Health Organization estimates that 30 million people are in need of prosthetic and orthotic devices — yet more than 75 percent of developing countries do not have a prosthetics and orthotics training program in place, often leading to poorer clinical coverage of patients. Some of the earliest prosthetic limbs date back to ancient Egypt, though many researchers cite the Civil War as being a time of great advancement in technology and procedures for people who lost limbs in battle. This trend has continued in times of war, as limb loss is becoming more common in the battlefield due to improvised explosive devices (IEDs) and roadside bombs that can inflict grievous injuries. The Army reports that since 2001, 1,641 service members have lost a major limb (hands, arms, legs, feet) during the wars in Iraq and Afghanistan — some have even lost multiple limbs. But some hope emerged in 2016, which marked the first year without a combat amputation since 2001. Retired Army Sgt. Glen Lehman, who lost his right arm while on patrol in Baghdad, uses a new prosthetic arm developed at the Center for Bionic Medicine. 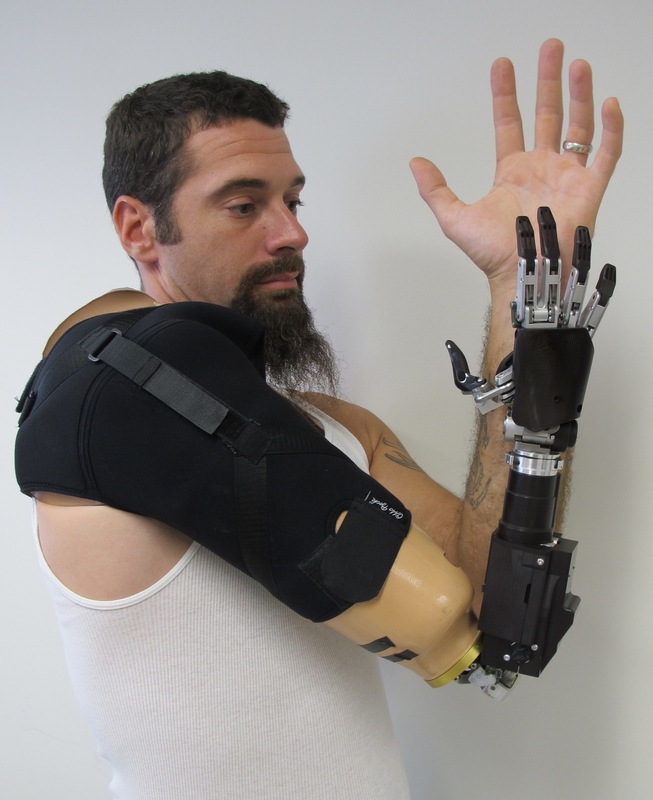 The arm was designed to be lighter in weight than most other powered prostheses. The Center for Bionic Medicine partners with the National Institutes of Health, National Institute on Disability, Independent Living, and Rehabilitation Research, and the Department of Defense in order to develop and evaluate improved procedures and technologies for civilians and wounded veterans. Some of our work focuses on improving how people can control their prosthetic limbs, while other projects focus on developing lighter-weight powered prosthetic legs and arms. Learning to use a prosthetic limb will take time — and therapy — but it can also open up new opportunities to explore different passions. Occupational and physical therapy will be important foundations for learning how to use your prosthetic limb safely and properly. While recovering from limb loss is no doubt challenging, through support and therapy, many amputees say they have learned to explore new passions. High-tech prosthetic devices with microprocessors and other advanced features are being developed, but regardless of the system used, these devices still need to connect to the body properly. Most prostheses attach to the body through a socket, a cover custom made to fit around a person’s amputated limb, almost like a glove. A clinician who specializes in this skill — a prosthetist — will work with patients to take measurements of their limb and mold a socket specifically for that patient. They’ll also work with patients as they learn to use the device and as they age — prosthetic parts may break down, the amputated limb may change in size over time, and a patient may also experience skin conditions caused by movement of the socket. 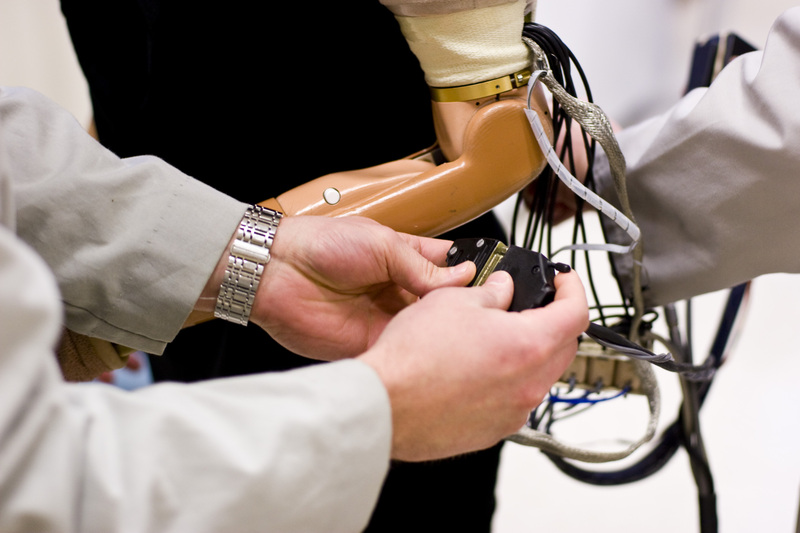 Prosthetic limbs need to repaired, just like your car requires maintenance and oil changes. Sometimes parts of the prosthesis, like the socket, liner or bumper, need to be repaired or adjusted, depending on the type of prosthesis you use and other factors. Prostheses will need to be repaired over time, just like your car. Even after amputation, a person with limb loss may still feel pain in the area where their limb used to be (phantom limb pain) or in their amputated limb (neuroma pain). Currently Dr. Todd Kuiken, Director Emeritus of the Center for Bionic Medicine, and Dr. Gregory Dumanian of Northwestern University are leading a study investigating if Targeted Muscle Reinnervation, a nerve transfer procedure they pioneered together, may reduce neuroma pain. They’re also investigating use of the procedure for people with below-the-elbow amputation. The procedure is already established for people with above-the-elbow amputation and has also been evaluated for people with lower-limb loss.